globalvisionhas recently acquired a Steadycam DJI Ronin. 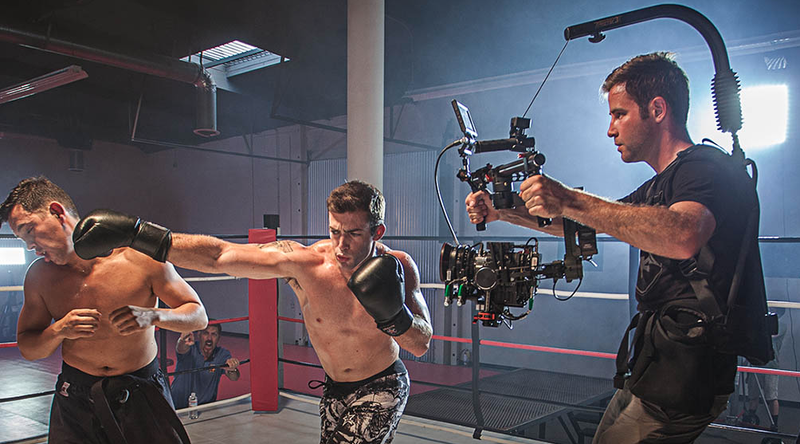 This 3-axis gimbal system stabilizes the camera in real-time and produces perfectly still and smooth images. This stabilization technology is often used in cinema and professional movie production. Using this hardware available to rent, our customers obtain smooth motion for their movies. This equipment can be operated by one or two cameramen, one is controlling the physical movement of the device, while the other is remotely controlling the camera. globalvisionprovides professional imaging services, producing corporate movies and high-quality 360° panoramas. The company also offers aerial photo and aerial video services. globalvisionoffers rental service for professional photo and video equipment. Our DJI Ronin is available to rent from, our office in Geneva. The device can be mounted with any type of DSLR or video camera up to RED Epic and RED Scarlet.It can be configured in less than 20 minutes and will ensure our customers getting professional results of a very high quality.